Tile Centre Adelaide is SA’s newest tile outlet, we stock an exclusive range of premium quality ceramic, porcelain, mosaic, sandstone, timber laminate and subway tiles. Our products are sourced from all corners of the globe. Dealing directly with our suppliers enables the Tile Centre Adelaide to acquire the finest contemporary tiles – and share their beauty with you. We don’t just sell tiles, our experienced team will work with you to design a solution that uniquely reflects your taste and style. Take a virtual tour of our Tile Showroom. Ceramic tiles have been around for hundreds of years and are renowned for their beauty and colour. They are more absorbent and typically less expensive, easier to cut, clean and maintain. Come and explore the our distinctive range of natural Bluestone, Travertine, Marble, Limestone, Granite, Basalt and Sandstone. Stone walling veneers, stone blocks, pavers, flooring, pool tiles and coping. Porcelain tiles are ideal for both indoor and outdoor use. 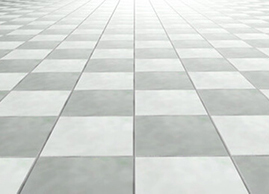 Durable and non-slip with a polished or matt finish, these stylish tiles are popular for kitchens, bathrooms and high traffic areas. Turn your vision into reality. Add that “wow” factor to your home. Mosaic tiles come in many colours, sizes and textures. Commonly used in wet areas like laundries and bathrooms, they can be used as features throughout the house. 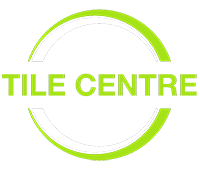 Tile Centre Adelaide showroom is located at 573 Grand Junction Road, Gepps Cross. 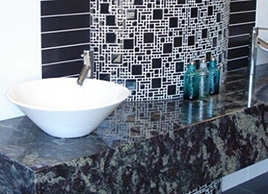 Enter our world of stunning bathroom tiles, kitchen tiles, wall tiles and floor tiles. 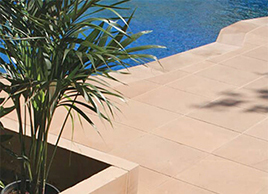 Our range of premium quality porcelain, ceramic and natural stone products come from all four corners of the globe. Our experienced design consultants can help you choose the right products to achieve the style and elegance that you’re seeking. Our trade services are available to architects, interior designers and building contractors for all types of commercial and residential projects. We stock quality tiling products from leading manufacturers like Ardex, Aqua Mix, iMex, Stone X and System Leveling.